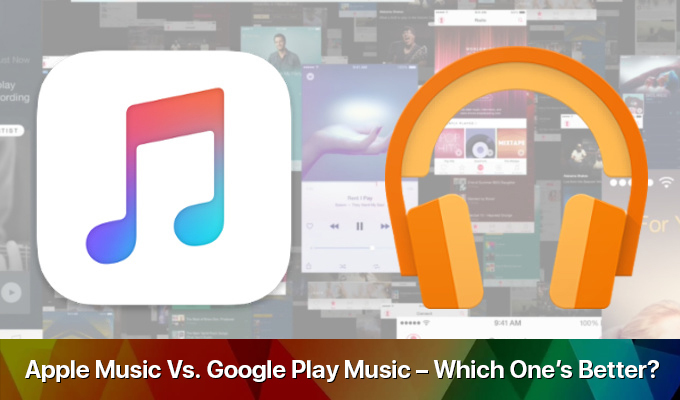 Apple Music Vs. Google Play Music – Which One's Better? After purchasing Beats Music, it soon became the heart of Apple Music which was Apple’s answer to Google Play Music! Till recently, Google’s Play Music was not facing direct and strong competition from Apple but after this purchase it looks like Apple is ready to give tough competition to Google and ‘play’ along! Your decision needs to be influenced by different factors which takes into account the different features both offer. 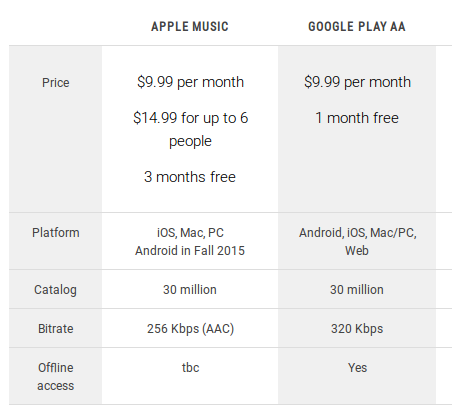 This comparison between Apple Music and Google Play Music tells us all. Apple Music went live at 11AM ET on June 30 alongside iOS 8.4 while Google Play Music was announced on June 23, 7 days before the Apple music launch took place. To compare the pricing, Apple Music is available at $9/.99 per month with the first 3 months being free trial. Google Play Music All Access is also available at the same price but it offers a 30 days free trial only. Up 1 for Apple! 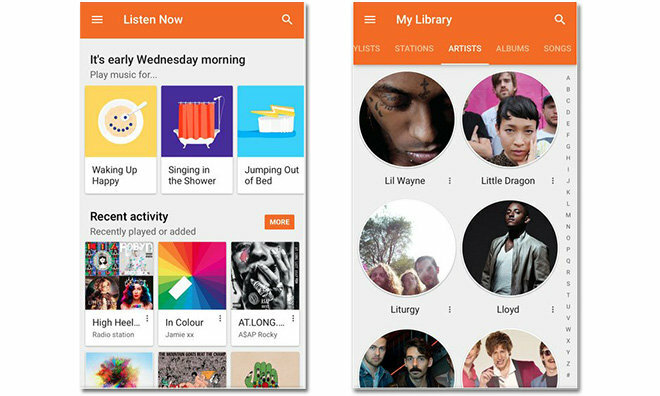 Google Play Music boasts of 30 million songs in it kitty, which are streamed at 320Kbps. Apple offers an almost similar number of songs streamed at 254Kbps but content which is not available in iTunes yet can be accessed via the Connect part of Apple Music. Google Play Music is available worldwide and can be downloaded in iOS, Android, Macs and PCs and via web-based interface also. Being available in an offline mode the user can download tracks when in a no-internet zone. Apple, as of now, is available for iOS devices, Macs and PCs and from July it is going to be made available in a 100 countries. The coming Fall will see an Android version coming up too. Apple Music stresses on the fact that music is an art form which needs to be respected and is connected to human emotions – something which Algorithms (related to Google) simply cannot achieve. Apple wishes to connect with its users with Apple Music and bring out the ‘human’ side of its app amongst them. This thought clubbed with Apple’s huge competitive advantage of being available on millions of devices worldwide is what makes Apple special and unique. Things are going to get seriously interesting when Apple Music becomes available to Android users but as of today Google Play Music’s ease of use and great playlists are no less either. It all boils down to choices but iOS does offer a better user experience at times.